Welcome to the LSRC Archive Search Page. It is an interactive web-service intended for the residents of Lafayette Square. This portal provides information on and/or access to archived records pertaining to their community. If a record is available online, a link is provided for downloading and viewing the document. Some records are only available via hardcopy and instructions for hardcopy retrieval are also made available. Currently there are 1016 records in the LSRC Archives Database. Document IDs are a simple indexing system designed to categorize archived records for easy storage and retrieval. The text search bar works like most search tools with a few exceptions. The following information will help ensure an effective search. Start by typing in the "Search" field. You can enter the document reference number (i.e, 14 2018 429 d), a street address, the name of a resident (first name, last name, or both) an author, type of document or record (news clipping, minutes, photo, map, newsletter, etc. ), location name, year referenced, and/or the subject of the record. The search is auto-complete enabled, so search returns will begin to populate the page after 3 characters. When looking for multiple items, you must separate distinct search terms with a comma, like 2043 Park Ave, Montgomery Blair". 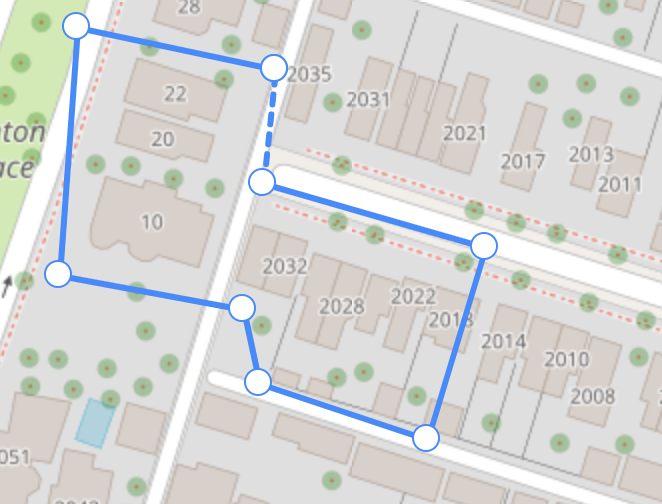 Records with a location or street address will display a marker on the map when you hover the mouse pointer over the record. Adding distinct search terms serves to refine the search rather than expand it. Because the tool only returns records containing all the terms you are searching, as you add more terms, fewer records will result. Partial words and terms will return related data. For example, ward will return Ward and Edward. Searching for Mississippi Ave will return any and all records containing an address or reference to that street. 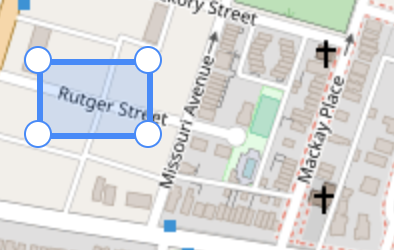 If you know alternate names for the same person, like Libby for Elizabeth, or Armstrong St for Mackay Pl, try each individually, or separate both with a comma. Click on the rectangle or polygon buttons on the map. Use your mouse or trackpad to size the shape you choose within the map. This will define the search area. Your document results will then appear. We're sorry, but this document is only available in hardcopy format. You may request to borrow this document from LSRC Archives by filling out this form.